Kurt says this little gem should be our Christmas Card. 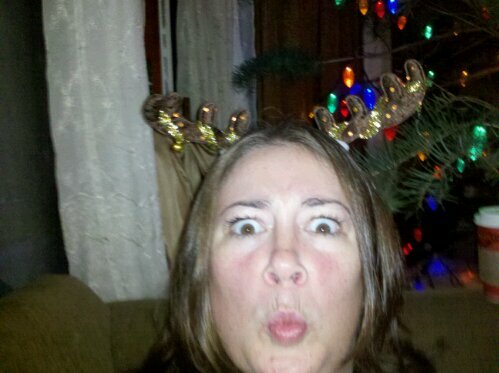 I say I’m glad I trimmed my nose hairs for days I’m wearing deer antlers. It’s a Wonderful Life, So Don’t Shoot Your Eye Out, and Yippee Ki-Yay, Mother Fluffers!